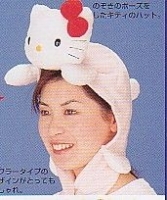 But I'm sure, a lot of Japanese are walking with this hat on. I knew I like Spanish. I can understand it just a little. Ha ha. Wow, what a nice tour. And if I can, I would like to go to Morocco. And I would like to see people all over the world. Copyright 2008 PEKOLI All rights reserved.